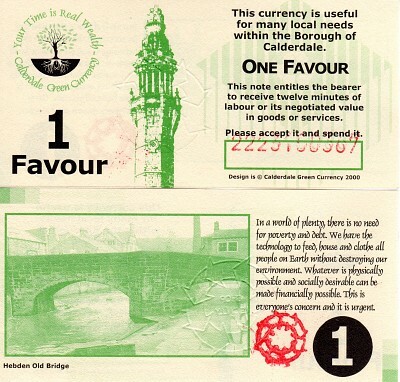 Calderdale Local Green Currency. Hebden Old Bridge. Scarce note, hard to find. This Local Currency experiment is no longer running but there is a website about it here: www.localcurrency.org.uk/ There is a possibility they may resurrect the scheme in the future.